Thursday night October 25th I was in Long Beach at the 555 East Steakhouse. As advertised – very good steaks but I had been wanting a local beer to compliment the meal. It seems like there are lots of San Diego beers, Northern California beers but LA is barren when it comes to local beers. I quizzed the waiter….he had to check, seems like wine is their thing at the restaurant. I was in luck, they had a new offering from a small brewery just up the road in Torrance, CA., called the Strand Brewing Company. I had a pint of the 24th Street Pale Ale. I was pleased with the aroma and it had a pleasant drinkable taste. So I had another! I did a little research….for some reason LA is way behind the craft brewery craze in my home state. Strand Brewing is a good representative of what LA needs more of. I flew home to Houston, arrived a little after noon, repacked my bags and headed off to Baton Rouge. 283 miles later I pulled into the Fairfield Inn on Essen! My son Ben met me and suggested we dine at Twin Peaks. I was expecting a Rocky Mountains theme and it was more like Le Gran Tetons – if y’all know what I mean( that is really a lie, I knew exactly what Twin Peaks was all about). Anything to make the young lad feel good. I barely noticed the scenery! I tried the house brew – Naughty Brunette. It was Ok.
Saturday night found us at the Kona Grill for a meal before catching the movie Argo….decent movie, suspenseful but you knew they were going to get out…. The poor young gal couldn’t pour a beer. I tried to coach her but she didn’t get it….oh well. No sushi for Ben nor me either. Just one beer – she forgot my second beer so she only had one chance. We did eat fish…Ben is growing up, no bacon cheeseburger this night…. sea bass, couscous and some interesting vegetables. 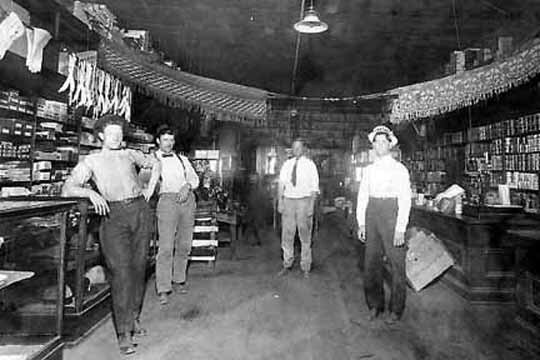 Sunday Brunch at Chimes just off the LSU campus. A noon start….Ben needed some beauty sleep. An amazing selection of beers on tap and in bottles. I had an IPA from NOLA Brewing, the Hopitoulas IPA – best beer of the weekend. They serve Imperial Pints so one was enough before the long drive back to Houston. The breakfast/brunch at Chimes is just simply outstanding! I am looking forward to an excuse to go back so I can do a proper critique of the offerings! I just need a driver and a bed! This week at home, I had to sip on my homebrew IPA….so good! 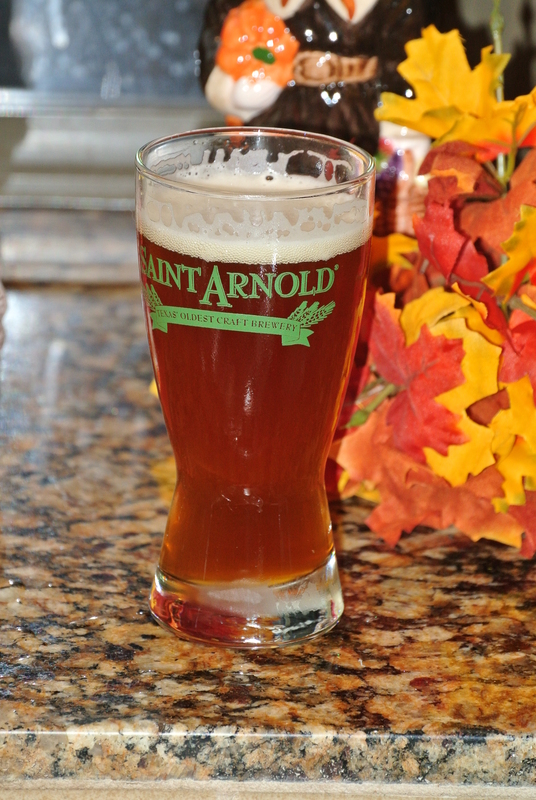 My IPA in a St Arnold’s 12 ounce glass…..trying to stretch it out a little longer. I have 6 L remaining of the original 18 L batch. Grilled some chicken the other night along with a Karbach Hopidillo in hand – this local brewery is so good! Last night I chilled one of my Imperial Stouts…..it has been bottled maybe 6 weeks. it was a little early but I just had to know. I bottled about 6 – 12 ounce bottles as the sacrificial offerings. It was good but I know that it will just get better with age. December 1st is the next scheduled sampling. Just finished that little 12 ouncer of my IPA as I sit here tapping the keys and listening/watching the CMA Awards…..life is just so damn good!